YAY! Our new website has launched! We have worked on it for a while now and I cannot even tell you how excited I am that it is launched and done! Anyway, I’d love to show you how it looks! And what better way to look at our magazine, video trainings and presentations than to give you free access to at least one issue. Here it is. It is filled with pages of art projects for kids 5-10 years old. Do not forget to check out the ‘see training materials’ to access videos, presentations and more. 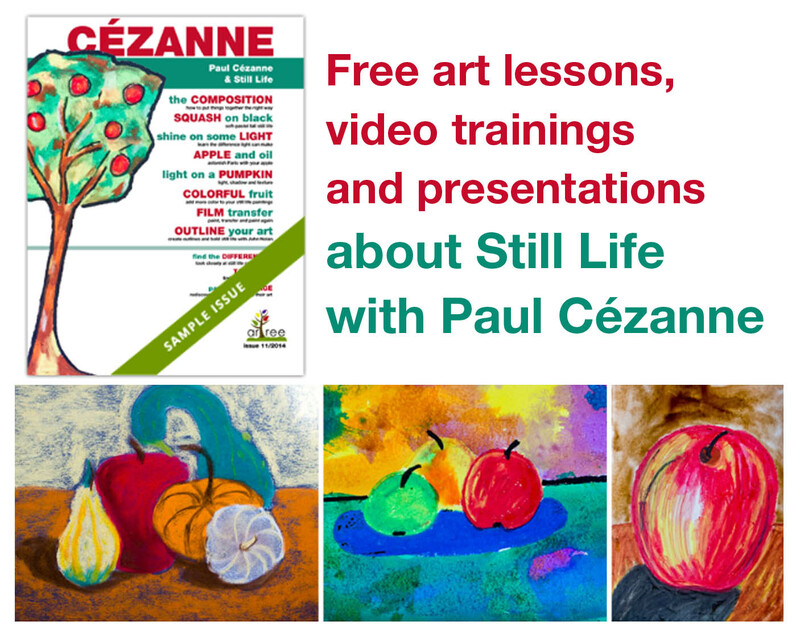 Enjoy the season with Paul Cézanne and his still life paintings. Learn why he painted apples for over 30 years and why it took so long for art critics to appreciate them. Create your own still life with apples, pumpkin and squashes. 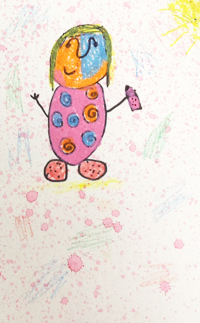 Discover how oil blends oil pastels and hairspray makes chalk pastels stick to the paper. Play around with composition and use a flashlight to shine some light on your art while you learn about highlights and shadows. Transfer your art using wet media film and test how observant you are. 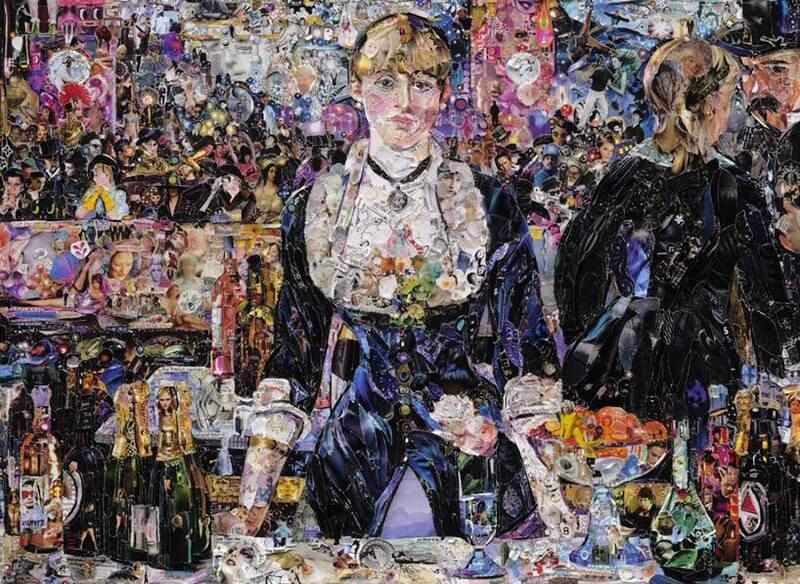 Conduct a taste test, pay homage to famous artists with John Nolan and, most of all, enjoy the fall! Click here to get started (if you subscribe now, you will get additional 12 issues of arTree at no charge). I just came across an interesting article for kids. Do you know when an Impressionist movement started? 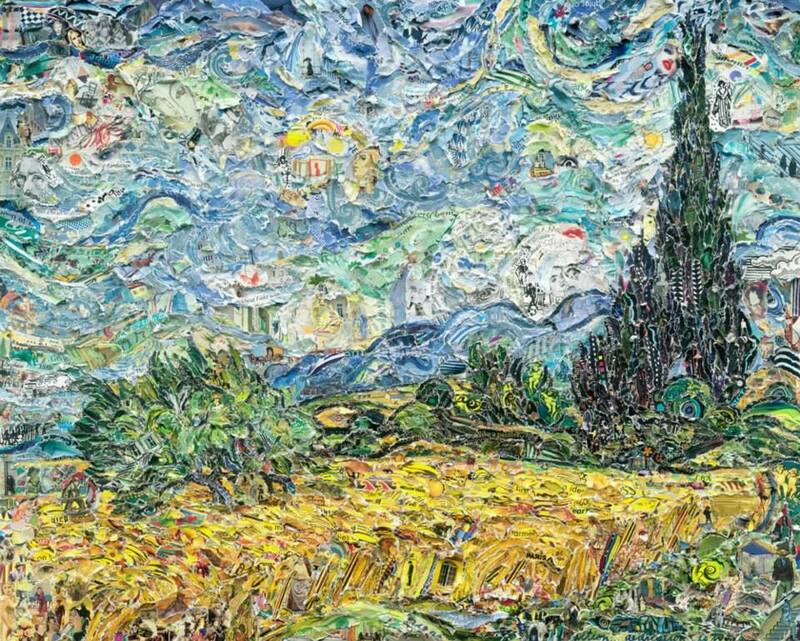 Now, you can find out precisely when: a Texas physicist has figured out down to the the exact minute when the Impressionism art movement was born. By his calculations, it began Nov. 13, 1872, right around 7:35 a.m. local time! Read the article here and share it with the kids. 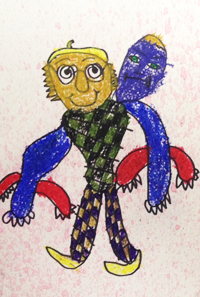 It’s a fun way to connect the common core and art once again! 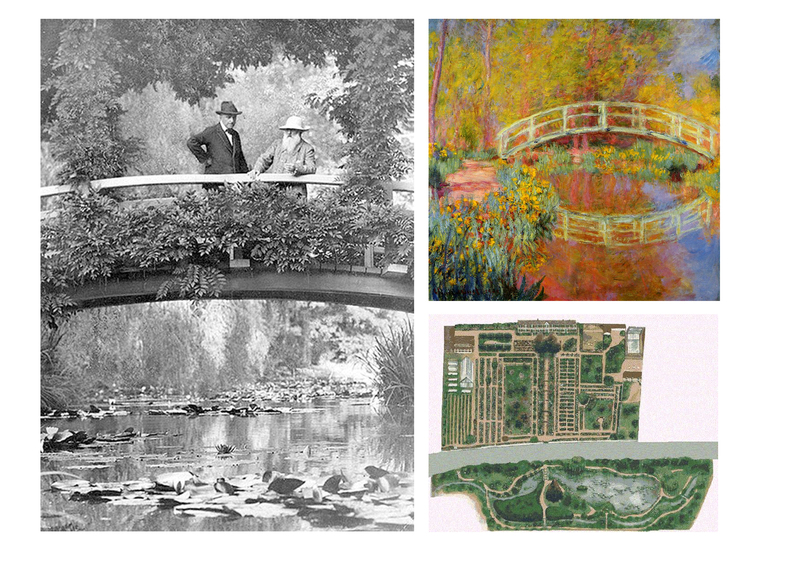 Fore more art projects about Impressionists and Claude Monet, look up the May issue of arTree (5/2014). 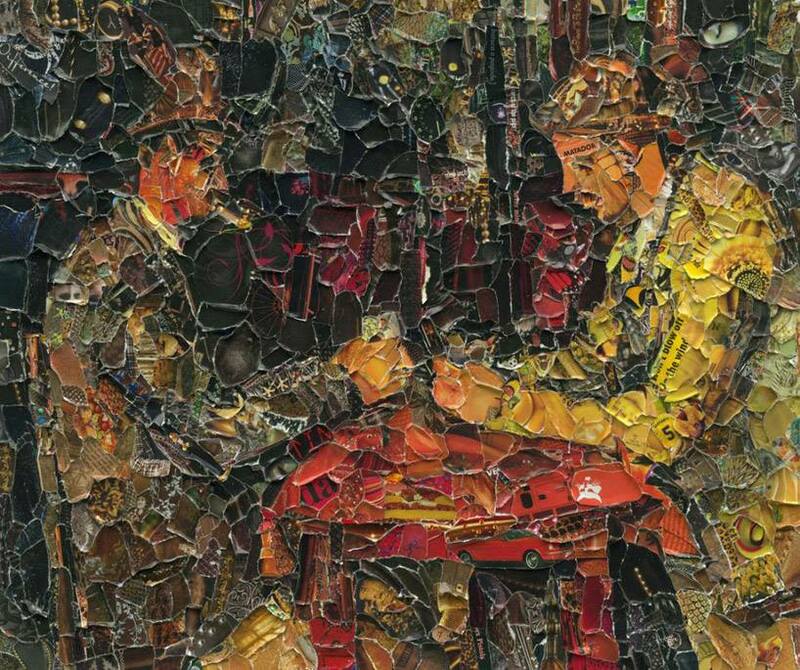 These paintings are reproductions of famous masterpieces, recreated in torn magazine pages. I love the details, colors and shapes that they used, don’t you? Do you recognize some of them? Post a comment with a name of one of the artists (or the paintings) and I will choose one person to get arTree magazine subscription for the whole year for free! Thank you, Art People Gallery, for finding these. This week only: buy arTree subscription for only $4.99! 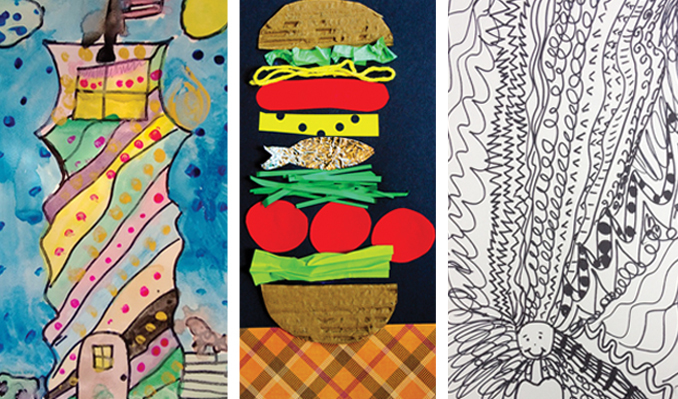 Visit Plum District and discover amazing deals, including arTree printable art magazine for kids (5-12)! This week only, get 12 issues of arTree for $4.99! 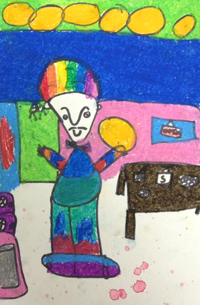 That is over 20 artists, 50 art projects and 30 activities for you and your child. Walk through Monet’s garden, make your self-portrait with Picasso and follow your dreams with Marc Chagall. There is a lot to be found! 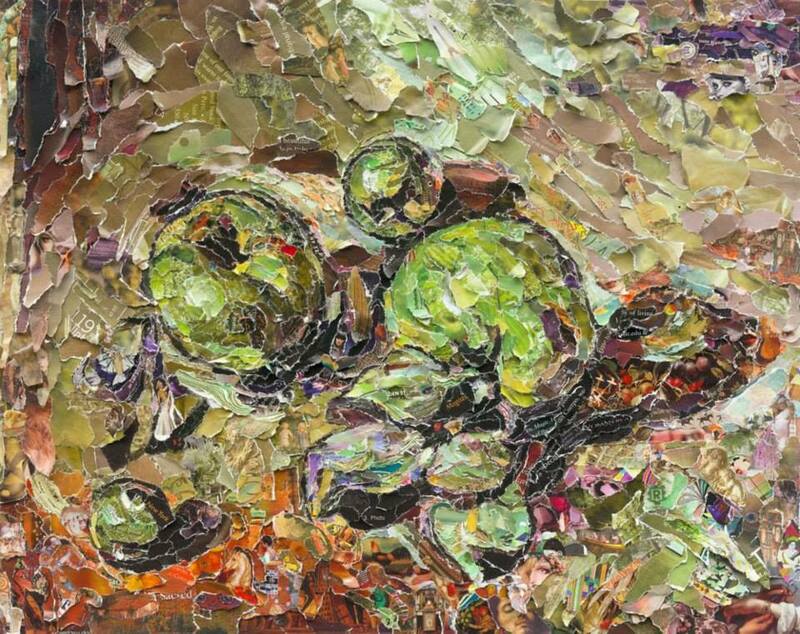 Are you an art docent? 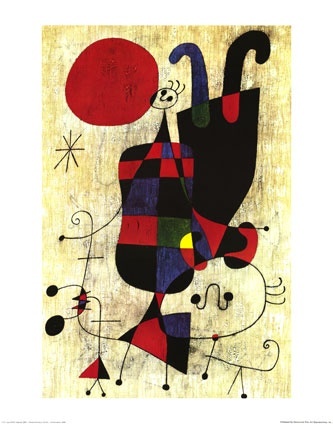 Teach kids about Joan Miro this month! 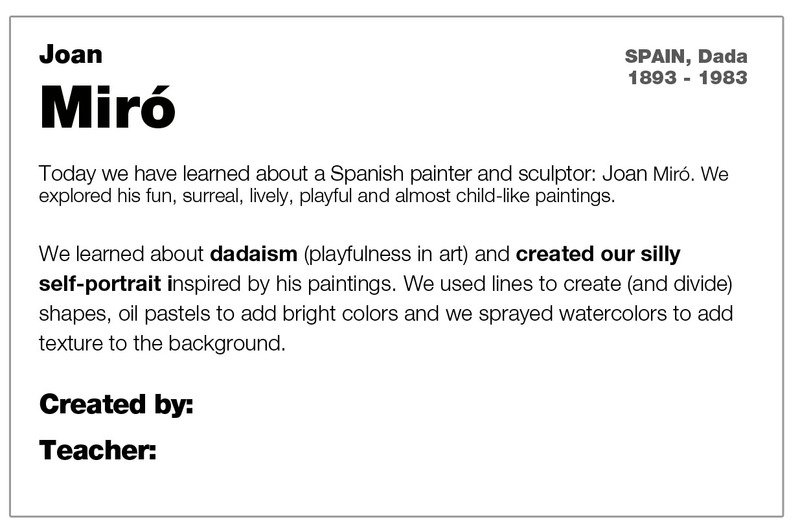 This project introduces Joan Miro & self-portraits and it is recommended for kids in K-2 grades. 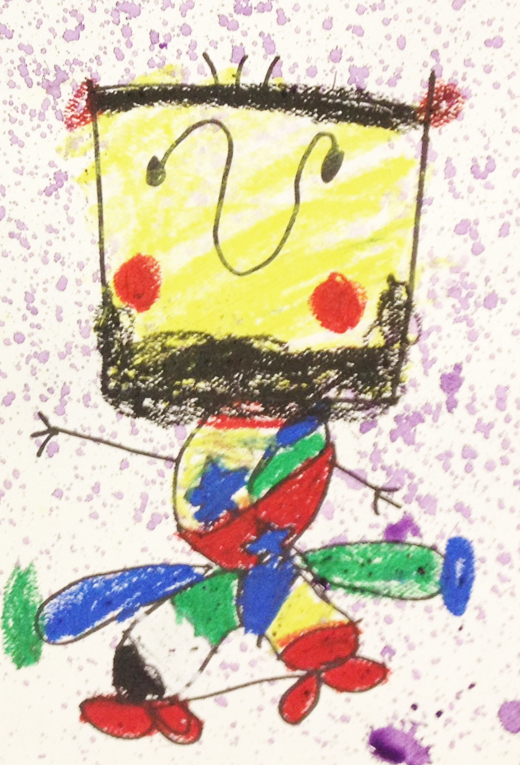 When you introduced Joan Miro and his work to the kids, ask them to sketch a head (with a sharpie). Show kids that they can do whatever shape they want (you may even sketch those on a blackboard – oval, square, heart…) and then show them how to make the eyes and the U-shape nose. 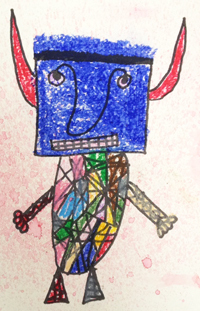 Then the kids can create whatever body shape they want. Just remind them to keep it simple and when they are done to ‘divide’ it or ‘visually cut’ it into several segments (they are going to be coloring each of them differently so they want to have several of them). 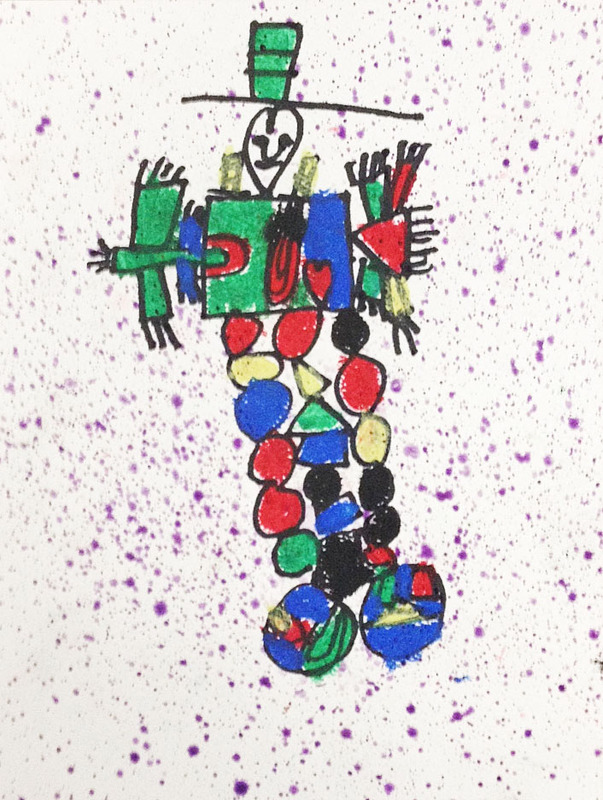 When they are done, give them the oil pastels (yellow, red, blue, green, black and white) and ask them to color the picture (not the background). The ones that finish early can add their favorite animal or something they like to do (soccer ball, books, etc.). In the end, ask the kids to bring the picture over and spray it (with them) with the watercolor spray (just some watercolors in a spray bottle). For this part, make sure you have something covering the surrounding area (newsprint, mat, shower curtain or old plastic tablecloth). And be careful when you lift the picture – the watercolor may drip a little. Here are the labels to print out for this project and attach them to kids’ artworks. Today, I was a guest blogger on Harrington Harmonies. 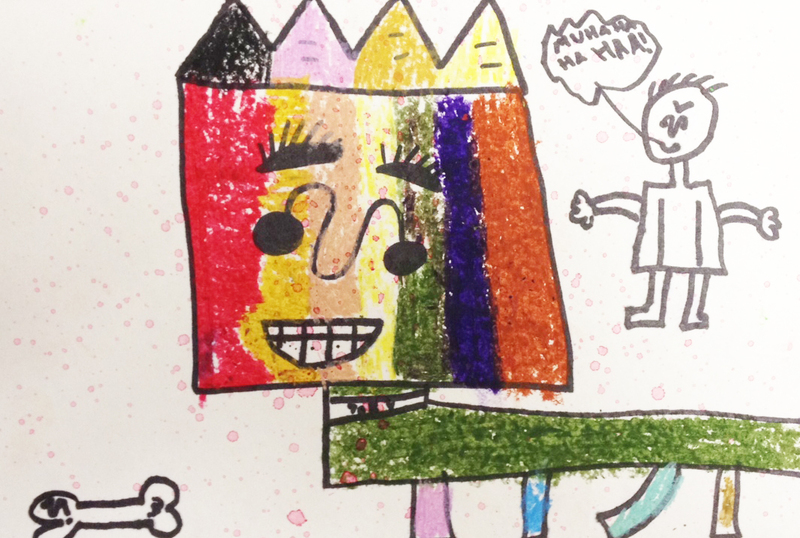 I have written a post about common mistakes in teaching art to kids. It is accompanied by arTree digital magazine give-away so if you are interested, click here to enter it (it ends 2/24/2014). Don’t copy the masters but use them as your inspiration. Don’t help your kids too much, let them make their mistakes on their own! Be careful how you praise their work! Visit Harrington Harmonies to read more about it and to win the give-away!